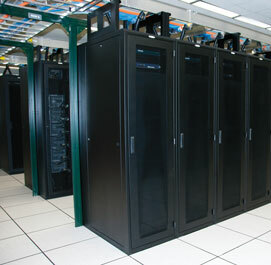 Great Lakes Enhanced Series enclosures are feature-rich enclosures for housing telecommunication equipment, computer hardware, LAN equipment, and other electronic equipment. The modular design of the Enhanced Series accommodates initial installation and future additions in today's progressive network environment. The Enhanced Series is available in heights of 13U to 48U, and in depths from 32" to 42". Great Lakes GL480ES-2442MS 24U 42" 19" EIA 24"
Great Lakes GL780ES-2442MS 42U 42" 19" EIA 24"
Great Lakes GL780ES-2442MSS 42U 42" 19" EIA 24"
Great Lakes GL780ES-2442MSFS 42U 42" 19" EIA 24"
Great Lakes GL780ES-3042MS 42U 42" 19" EIA 30"
Great Lakes GL780ES-3042MSS 42U 42" 19" EIA 30"
Great Lakes GL780ES-3042MSFS 42U 42" 19" EIA 30"
Great Lakes GL780ES-2448MS 42U 48" 19" EIA 24"
Great Lakes GL780ES-2448MSS 42U 48" 19" EIA 24"
Great Lakes GL780ES-2448MSFS 42U 48" 19" EIA 24"
Great Lakes GL780ES-3048MS 42U 48" 19" EIA 30"
Great Lakes GL780ES-3048MSS 42U 48" 19" EIA 30"
Great Lakes GL780ES-3048MSFS 42U 48" 19" EIA 30"
Great Lakes GL840ES-2442MS 44U 42" 19" EIA 24"
Great Lakes GL8401ES-2442 44U 42" 19" EIA 24"
Great Lakes GL840ES-2448MS 44U 48" 19" EIA 24"
Great Lakes GL840ES-3048MS 44U 48" 19" EIA 30"
Great Lakes GL910ES-2442MS 48U 42" 19" EIA 24"
Great Lakes GL910ES-2442MSS 48U 42" 19" EIA 24"
Great Lakes GL910ES-3042MS 48U 42" 19" EIA 30"
Great Lakes GL910ES-3042MSS 48U 42" 19" EIA 30"
Great Lakes GL910ES-2448MS 48U 48" 19" EIA 24"
Great Lakes GL910ES-2448MSS 48U 48" 19" EIA 24"
Great Lakes GL910ES-3048MS 48U 48" 19" EIA 30"
Great Lakes GL910ES-3048MSS 48U 48" 19" EIA 30"